What a day! 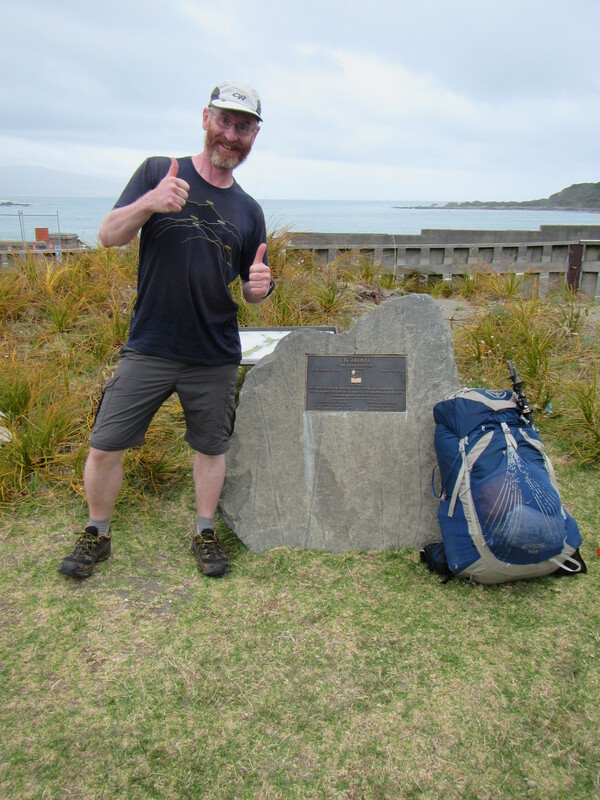 After 64 days on the trail and some 1700 km on foot (with some paddling) I’ve made it the bottom of the north island. I still remember the first day walking Te Araroa, strolling down Twilight Beach, happy to be there but thinking “OMG I’ve just walked a few kilometers and I have 3000 more to go! How am I going to do this?” The simple answer was just keep putting one foot in front of the other and you’ll get there eventually. Think big but don’t focus on the end, break it down into sections and take each day as it comes. And it was worked. One island complete and another to go. Early on in this trip I had some faint but lingering doubts about my ability to actually see this walk right through to the end but they have long since vanished and I know that barring injury I will finish Te Araroa. Reaching Wellington is a major milestone and has cemented in my mind that I will reach Bluff. Anything is possible if you dream big and take steps, ah hum, excuse the pun, to make your dreams reality. So back to the trail. 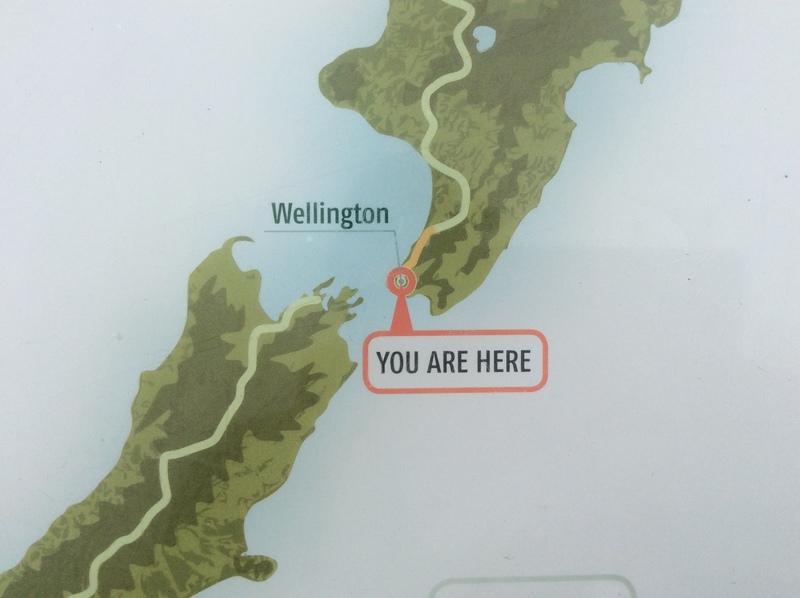 I had 16 km to complete today to get to the official end of the North Island. A short day and I had all the time in the world so took it really easy. Leaving to hotel around 8am it was into the botantic gardens. These were really nice. Paths and gardens of every description forming a patch work of colour right in the heart of the city. 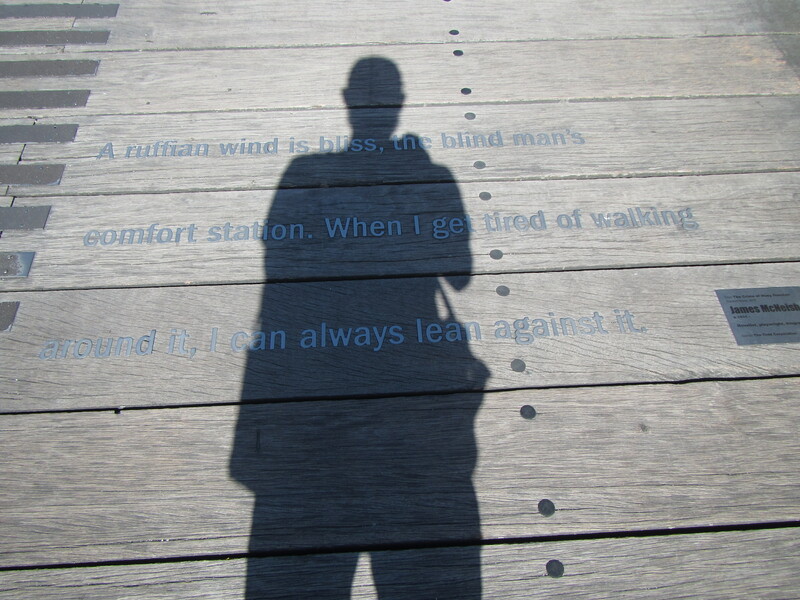 The trail moved through the city centre itself and followed newly placed plaques set into the foot paths. I wonder how many city folk walk over these each day and either have no idea what they mean or who dream of one day being able to do it themselves but have to press on into the daily grind. Through some of the major city streets Te Araroa leads out to the water front towards the Southern Walkway. Of all the people in Wellington who should I run into as I made my way around the water front but Sarah. I had a double take when we first saw each other. Having parted ways a few days ago in Waikanae she is staying with a friend just around the corner. Crazy. With a quick catch up and well wishes for just about finishing the north island we parted company again. There were a few words of encouragement on the pavement for me as well. From the water front the trail picks up and follows the Southern Walkway all the way the end at Island Bay. It was difficult to follow at times and I lost the trail on a couple of occassions in the jungle of arrows across the Southern Walkway. 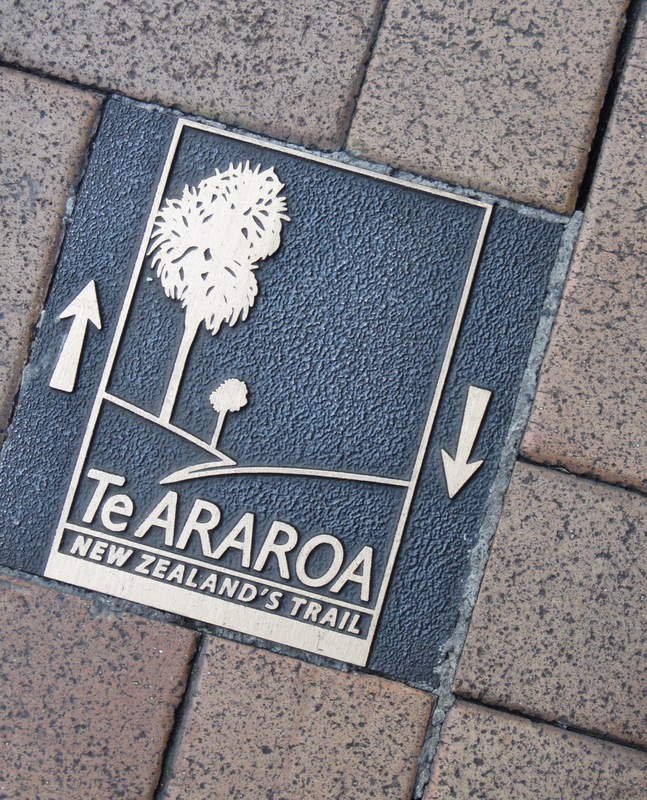 There were the main Southern Walk arrows, the same coloured arrows for numerous mountain bike tracks, the same arrows again for different varients or sections leading off the walkway; as well as the usual black and white Te Araroa arrows. I had to consult the trail notes regularly and had to look on the Viewranger app a couple of times to work out where I was after taking a wrong turn onto a mountain bike track. Viewranger has really accurate mapping of the just about all walking paths and mountain bike tracks so it didn’t take too long to get back on track. One interesting section of the trail is right behind the zoo. You come straight out of suburban streets and onto a rugby field to be met with massive fences and signs stating “Do not climb fence. Wild animals.” with a nice picture of a lion! The trail passed straight behind the baboon enclosure as well with great views to the animals but difficult to focus photos through the double fences. Finally, just before 12:30 pm I reached the southern coast and the last couple of kilometres to the end of the north island. I walked quick and was keen to get this over with so I could start to think and move onto the south island. Just before 1pm I reached Te Ahumairangi Park and the plaque signalling the end of the north island. Ecstatic to say the least. I gave a big woohoo to the amusement of a few people watching over their children play in the park. One women walked over to congratulate me. She had seen the plaque many times on visiting the park but had never come across any trampers as they arrived. She had often wondered what it was all about and we had a great conversation. I never did catch her name but she was lovely and took my thumbs up photo of the end point. Bring on the south island!!! Great stuff Mick. Following your adventures with a keen interest. While I can’t feel your exhaustion I can feel your excitement. Good one Mick! And I’m still jealous, but no longer just of your trip. I love your beard!